The Wilson West Vest Gold Umpire Chest Protector provides superior protection for multiple body types. 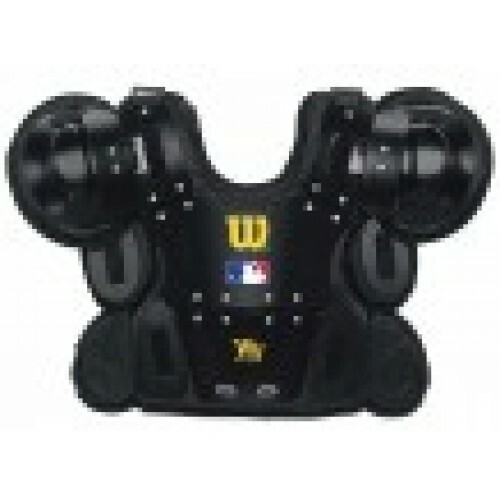 More MLB umpires choose "The Gold" as their everyday chest protector than any other. Gold Wilson and MLB logos on outer shell - Wilson is the Official Umpire Gear of Major League Baseball® and Minor League Baseball®. Sized differently from other chest protectors, the Gold is available in 3 general chest sizes and lengths. This makes the Gold a good hard shell choice, especially for umpires with a smaller frame body type. Sizes available are based on coat sizes and lengths.